They should get there at least 15 minutes early to introduce themselves to the instructor and find out what will be needed in the class. If they come after class has started on their first day, they should just turn around and do some free weights or machine cardio. They should be wearing appropriate gym attire, hair up, deodorant on, and a water bottle in hand. They shouldn’t feel intimidated by the veterans and immediately run to the back of the room. They should stick up for themselves and find a spot where they can adequately see the instructor so they can follow correct form and ques. They should make sure they have enough room around them self that they won’t be crashing into their neighbor or knocking over a water bottle. If they feel like they used the wrong weight (too much/too little) or they feel like their heart is about to burst out of their chest. They should stop and take a second for them self. No need to have someone pass out. Even if they are simply confused, they should stop and watch the instructor for a few reps/seconds until they understand. They should also understand that they won’t be the best in the class on their first go. Group fitness is supposed to be fun and motivational, not a competition to be number 1. 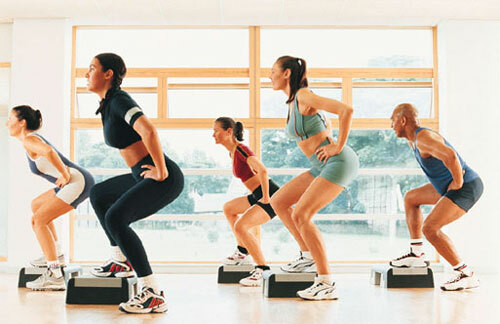 They should remember that everyone is there to either enjoy a nice workout or improve their own fitness. No one is there to judge and criticize. Unless their child is waiting outside on the side of the street in the freezing rain, DO NOT, I repeat, DO NOT, leave early (i.e. skip the cool down). They should make sure they put away all equipment in its rightful place and thank the instructor before they depart. They should leave feeling empowered, energized, and motivated to come back next week and improve their fitness in a fun, supportive, energy filled class with like-minded individuals. If they realize that the class was not for them, try it with a different instructor, or just try a new type of class altogether. Group fitness should not be a chore or something they dread going to. They should find a class they love and stick to it! With in a few weeks or months they will see so much improvement in their physical appearance, strength, endurance as well as their confidence. I promise. I know I did. What was your first group fitness class like? Mine was one of the greatest choices I ever made! It introduced me to strength training and I have been loving weight, plates, and barbells ever since! What is you gym locker room like?